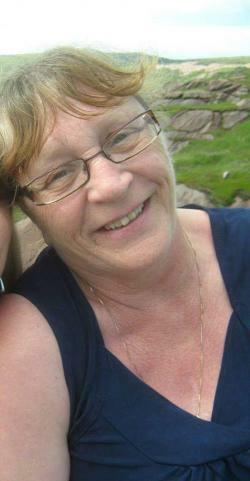 Passed away suddenly on January 31, 2019, at her residence in Gull Island, Madonna Driscoll, originally of Bay de Verde, aged 66 years. Predeceased by her mother, Margaret; father, Edward; brothers: Clayton, Moses and Gordon; and sister, Annie. Leaving to mourn children: Wanda (Chad), Pam (Darryl) and Robbie (James); spouse, Tommy Oliver; grandchildren: Samantha, Brydon, Wesley, Chelsea, Laura and Erin; brothers: Alfred (Carol), Edward and Ern (Joan); sister, Bride (Ron); and a large number of nieces, nephews, cousins and friends. Visitation at Hopkins' Funeral Home, Old Perlican on Thursday, February 7, 2019 2:00 pm. to 5:00 pm., 7:00 pm. to 9:00 pm. and on Friday, February 8, 2019 10:00 am. to 12:00 pm., 2:00 pm. to 5:00 pm., 7:00 pm. to 9:00 pm. Funeral service to take place on Saturday, February 9, 2019 at 2:00 pm. from St. Barnabas Anglican Church, Bay de Verde. Interment to follow in the Anglican Cemetery, Bay de Verde.